Amanda has more than 30 years’ experience as a journalist working for news, lifestyle, and business publications and is currently the Christchurch business bureau chief for Fairfax Media. She has a Bachelor of Arts degree from the University of Canterbury and a diploma in Journalism from Auckland University of Technology. Amanda started her career at the Auckland Star, worked for public radio and the Dominion Sunday Times and was a news director for NewstalkZB. 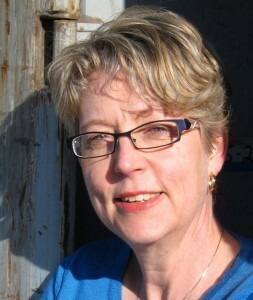 Following a Winston Churchill Memorial Fellowship to study journalistic ethics and investigative reporting in the US, and a three month Fulbright vocational exchange at the St Petersburg Times in Florida, Amanda wrote New Zealand’s only text book on investigative reporting which in turn led to her running training seminars for most major New Zealand media organisations. Awards for her work include eight Qantas/Canon Media Awards (Journalist of the Year in 1989), two Magazine Publishers Association Lifestyle Journalist of the Year awards, and a Mobil radio award for best news story.